Should the government provide incentives for recycling? Should the government be providing incentives to encourage people to recycle? Mark Maslin, a leading geologist and professor of climatology believes that incentives to protect the environment should be offered. 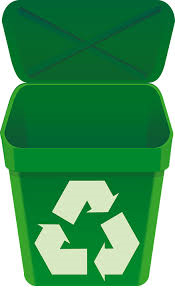 He believes that a system that awards individuals points for recycling which could then be exchanged for rewards could help to increase recycling rates and reduce human impact on the environment. Professor Georgina Mace, who also sat on the panel, said new systems are needed to “make it easier for people to do the right thing”. She said, “We need to do that with the environment and prioritise environmental incentives and innovations, such as making it easy for people to have low-carbon footprints, eat food that isn’t damaging to soils and water.’ It has also been suggested that people could have 3% taken off their tax bill as a recycling incentive.